Our next stop is to Joshua Tree National Park. 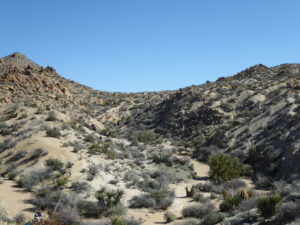 The park consist of nearly 558,000 acres of wilderness and blends into two unique deserts, the Mohave and Colorado deserts. The Mohave is in the western half of the park and has elevations above 3,000 ft. 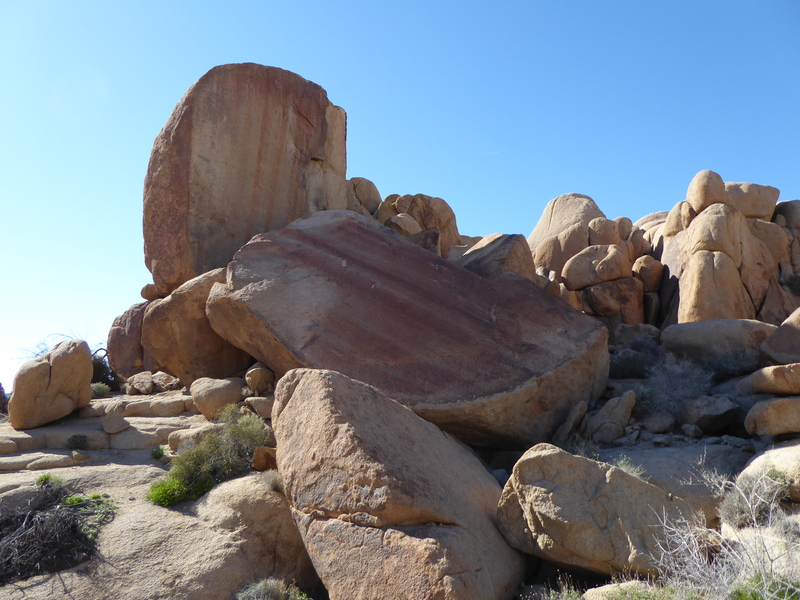 Among the large boulders are pinyon pines, junipers, scrub oaks, yuccas and prickly pear cacti. 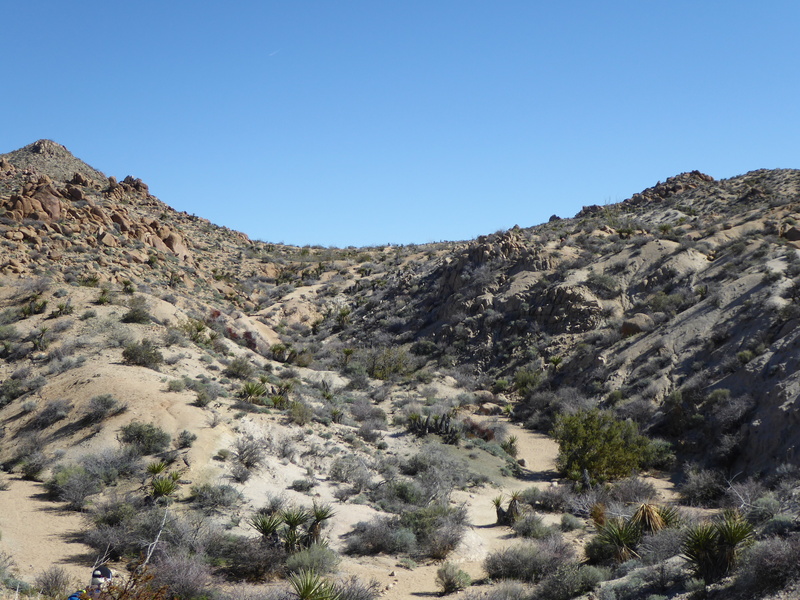 In the Eastern half of the park is the Colorado desert which is below 3,000 ft. 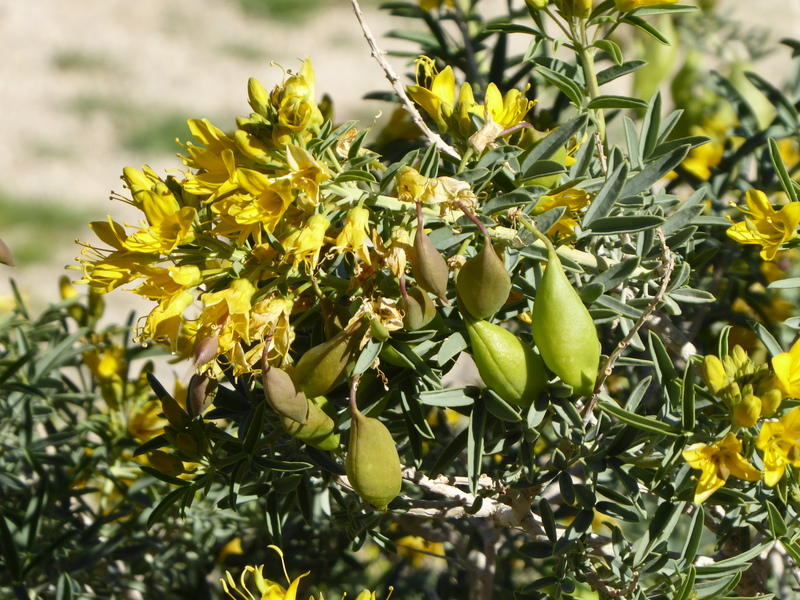 The habitat is similar to that of the Sonoran desert with Ocotillo, Palo Verde trees and Jumping Cholla Catcus. 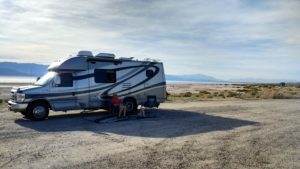 We stayed the first night at the Cottonwood Campground which is in the Colorado desert at the south-eastern end of the park. Our campsite at Cottonwood Spring. It was pretty nice day with lots of sunshine. We did a 3 mile hike on the Mastodon Peak Loop Trail. What a beautiful hike. The weather couldn’t have been better. We took time out to play and goof off! Linda – right before she pushes the boulder over the cliff! 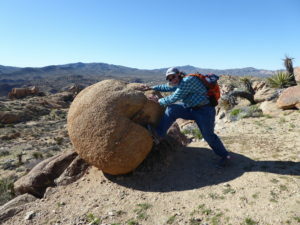 The were a lot of rocks of all shapes and sizes. The color streaks running through the rocks are interesting. 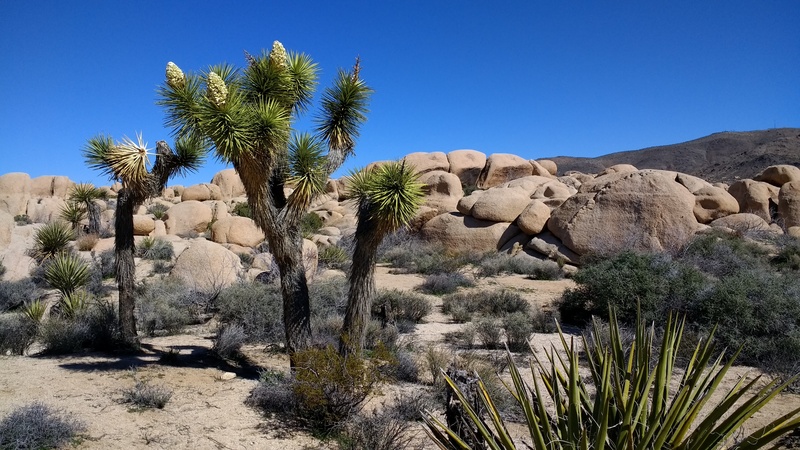 In the eastern end of Joshua Tree, there are no Joshua trees and it looks more like the Sonoran Desert. For the most part, the trail was well marked. During the last part of the hike we did lose the trail. We used our GPS to get us back to Minnie Pearl and Heidi! As we walked down the road on the final stretch, we realized there were a couple of other hikers that also missed the trail. 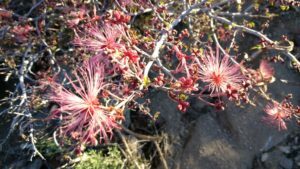 It’s always a joy to see flowers blooming in the wilderness. Mother nature is pretty awesome. Not sure what this flower is? Can you identify it? 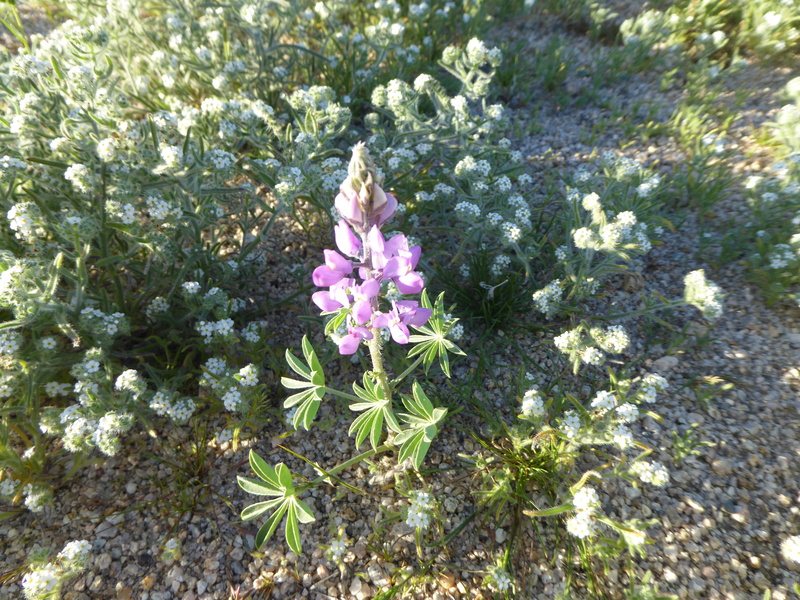 The lavender is Arizona Lupine. 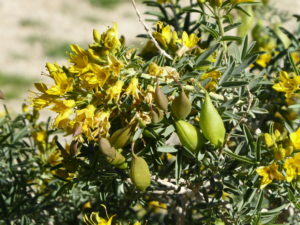 This shrub is called Bladderpod Bush. 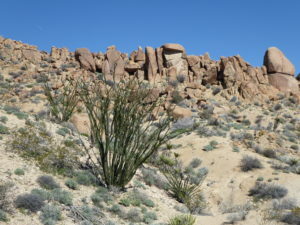 As we drove north the next day, the rocks and vegetation changed as we entered the Mojave Desert. We spotted our first Joshua trees and were lucky to find one in partial bloom. We stopped at a Hidden Valley and Jumbo Rocks campgrounds that Linda’s family had stayed at when she was young. 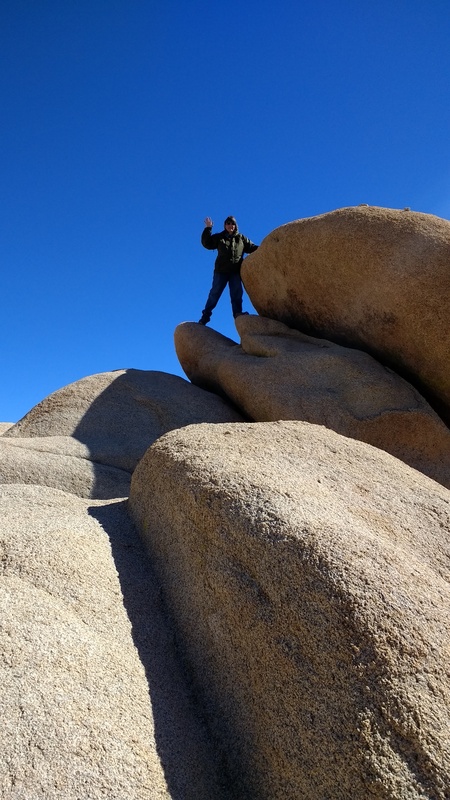 Linda captured some childhood memories of climbing on the rocks and giving a shout out to her brothers! 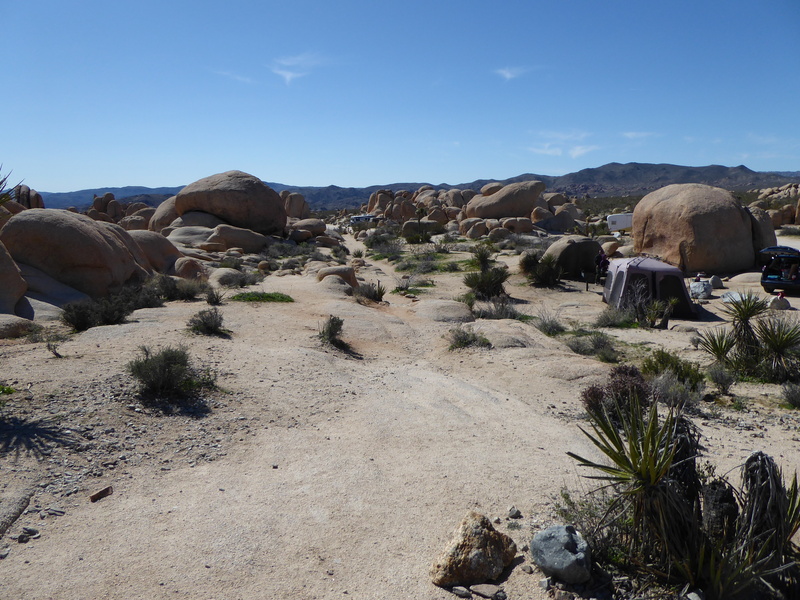 Both campgrounds were situated around large boulders and were rather small, however they were no vacancies. We watched the rock climbers for a while at the Hidden Valley campground. 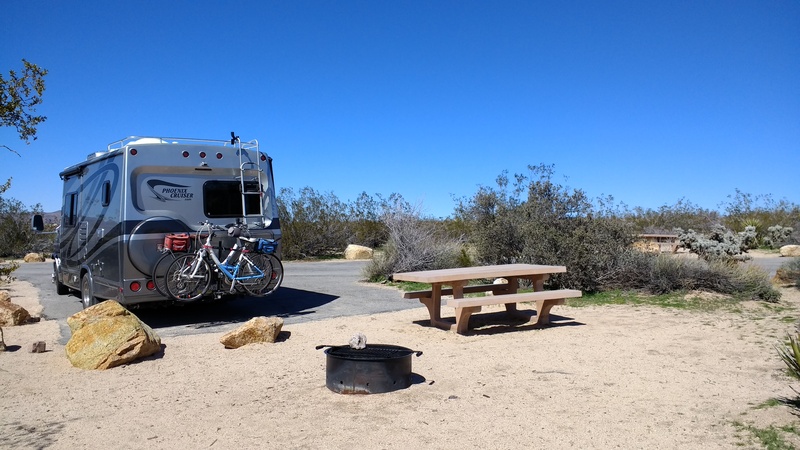 We ended up camping at the northern end of the park at Black Rock Canyon. This campground was very rough and there were many potholes running all through it. Getting to our site was quite a challenge and we ended up hitting one of those potholes! We believe it was here we damaged the sewer system. 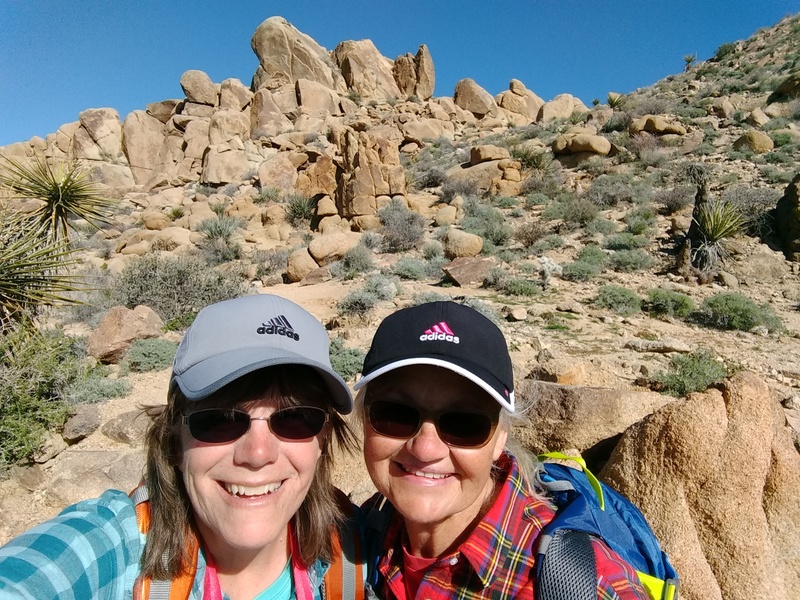 We really like Joshua Tree NP and enjoyed the diverse terrain. It would have been nice if we could have stayed longer but our time was getting short. We’ll definitely come back! The next day we headed towards the Salton Sea. We heard about it from some of the travel blogs we read and wanted to check it out. When we were at Joshua Tree NP, we could see it from one of the overlooks. 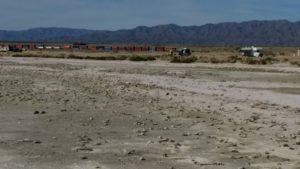 Our campground was right on the beach at Salton Sea State Park at Salt Creek Beach primitive campground and we were a couple hundred feet from the water. Kathy & Heidi sitting on the shady side to keep cool. We didn’t realize until we walked out to the water how sharp the “sand” was! It is actually thousands of shells! And it is very deep, up to 12-14” deep in some places. It was extremely difficult to walk on. The sharp shells would get down into our shoes and tried to cut out feet! No wonder no one was walking on the beach! There was lots of dead Tilapia lying on the shore which detracted from the experience. Notice the dead fish on the beach. 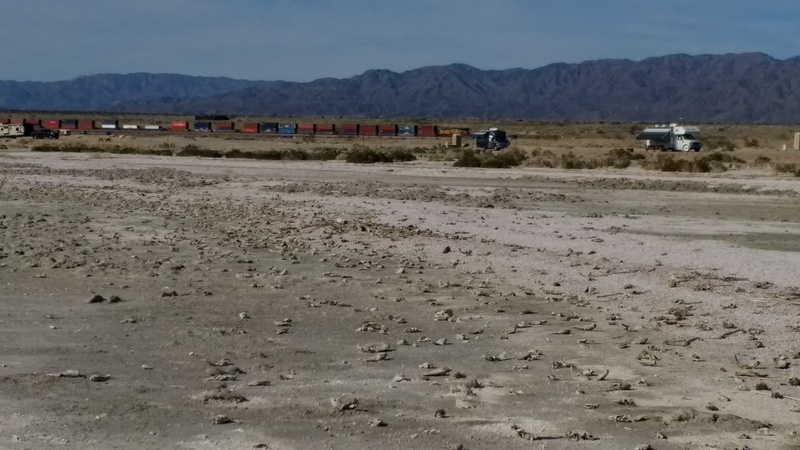 Our camper is in the background with a train rumbling by. 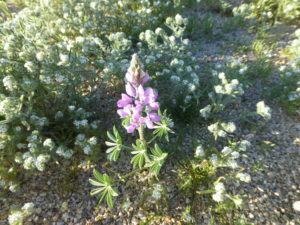 This entry was posted in Arizona and tagged Colorado Desert, Joshua Tree NP, Mohave Desert, Salton Sea. Bookmark the permalink.